This will be my second water-cooled computer and my first attempt at modding it from the stock case design. The inspiration for the build is an annual gaming convention held in Dallas around the beginning of August. 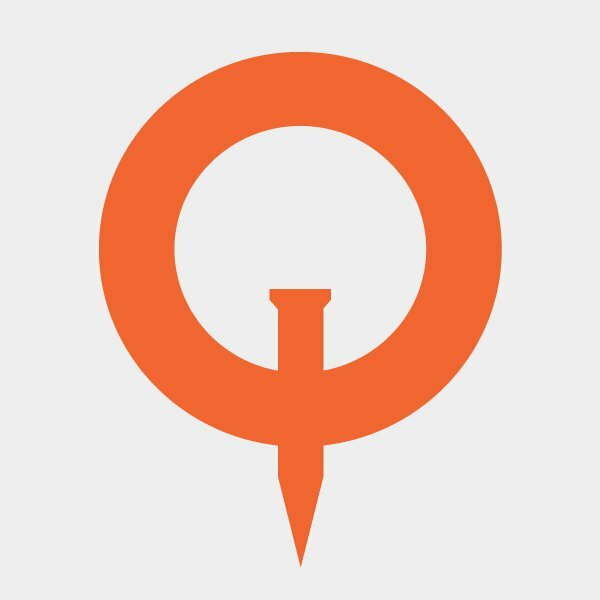 QuakeCon is North America's largest LAN party, the largest free LAN party in the world, and usually runs over a period of four days. My first QuakeCon was in 2009 and I have been a regular attendee ever since. 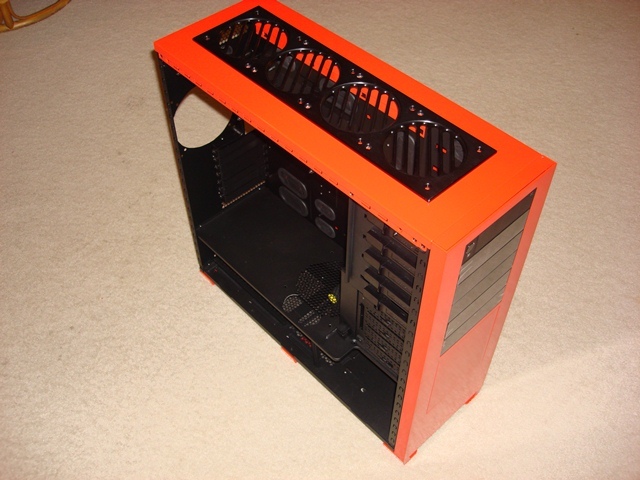 Every year they have several case mod contests segregated into 2 main categories: scratch-built and classic case mod. 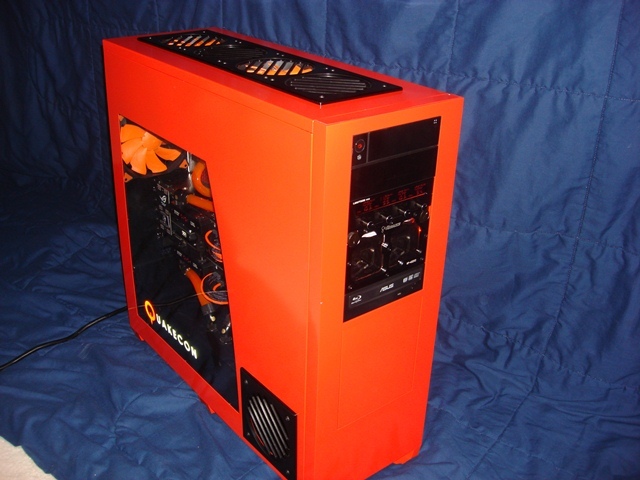 The scratch-built category is one built with no pre-existing structure, while the classic case mod is one where an off-the-shelf case is modified to some extent. 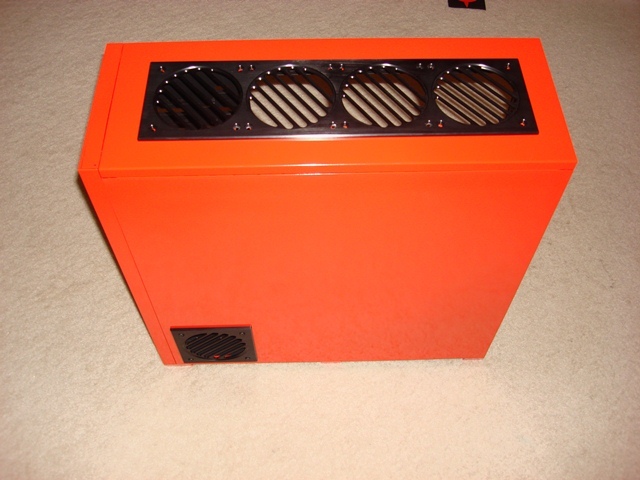 I thought that it would be fun to try my hand at entering the classic case mod contest. I decided to show my love for this annual event by using the QuakeCon logo as my central build theme. 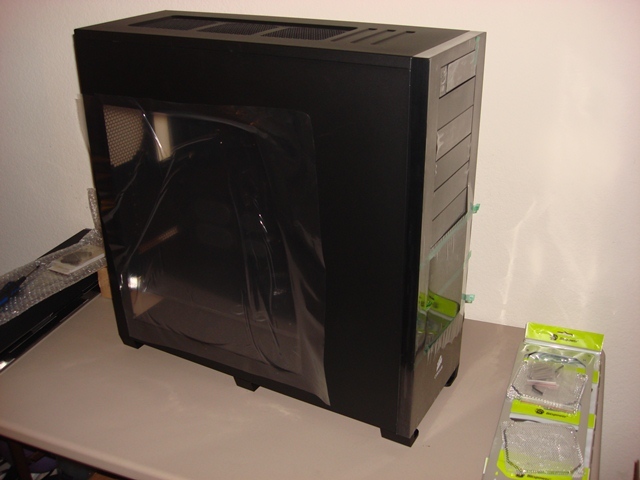 I will be using the Corsair Obsidian 800D for the case since the size and shape are conducive to a clean, organized build layout. 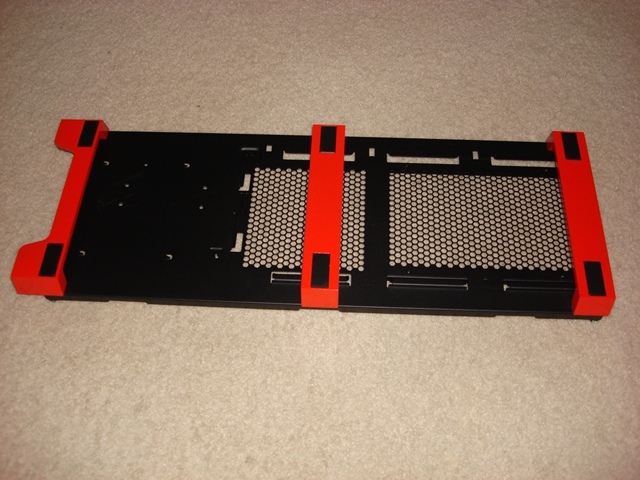 The case is constructed of steel and aluminum throughout, which make it durable and ideal for powder-coating. This will be my second build using the Corsair Obsidian 800D case and I am looking forward to getting away from the normal black color scheme and trying something more creative. I absolutely love the design of the 800D case. The solid construction and tool-less design are perfect for modding. Here is the case fresh from the box and ready to be disassembled. To get a better feel for what the case can accommodate, I removed the side panel and took a photo of the stock interior. After some careful deliberation, I decided to go with a dual-loop water-cooling system with a quad (4x120mm) radiator at the top and a dual (2x120mm) radiator on the bottom. I want to try something different for the bottom radiator and mount it on edge with ventilation holes in the side panels. 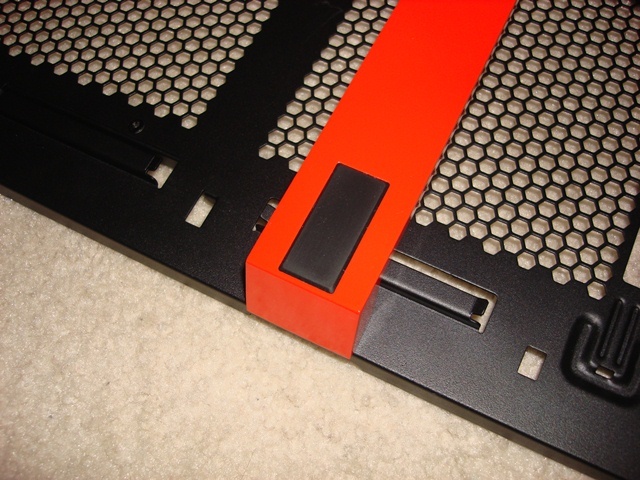 I will use a single reservoir mounted in the drive bays with 2 separate reservoir sections in it. 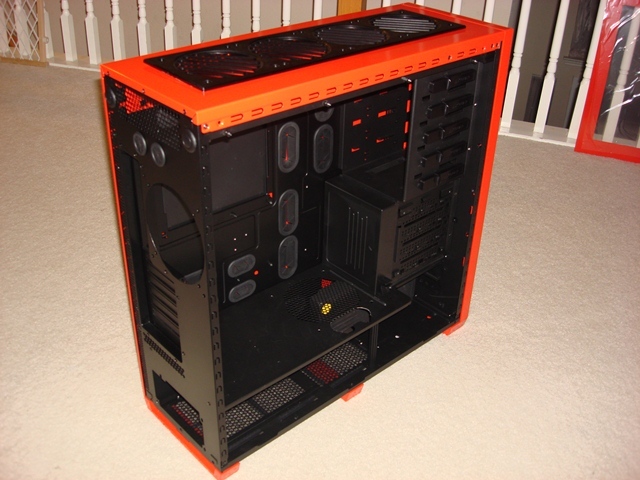 The wires will be sleeved with MDPC material and the overall color scheme will be orange and black. I was going to use a Bitspower Mesh Radguard 480 radiator grill for the top radiator, but decided against it. I did not like the slim design. I want something that presents a more powerful presence and allows for more customization. I decided on using the anodized MNPC Tech Pro-Line 4x120mm '360 Degree Rotating' Slotted Radgrill. I love how each radgrill center is removable and adjustable. The thick 3/16" aluminum is designed with strength in mind and is imposing in appearance. 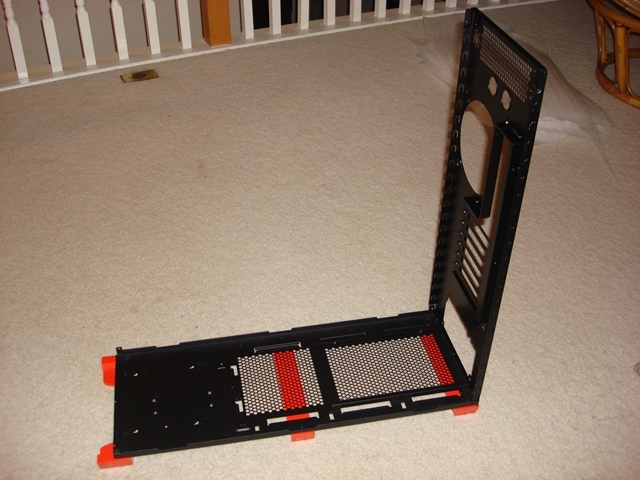 I disassembled the 800D and went about modding the top panel to fit a 4x120mm radiator grill. 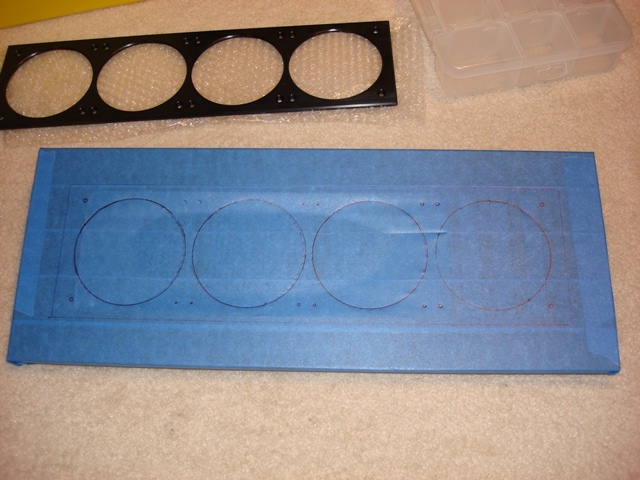 The top panel is factory-designed for a 3x120mm radiator, so some extra cutting is necessary. After covering the top panel in painter's tape, I used the frame of the MNPC radiator grill as a template and sketched where the fan cutouts needed to be. As you can see, the template will be filling the majority of the top panel. I will be removing all of the recessed fan grill area and the entire forward section with the 3 recessed grooves. After carefully measuring and laying out all the lines, it was time for my trusty dremel and jigsaw to get to work. Instead of merely cutting the entire inside section out, I decided to leave tabs where the fan screws were to help reinforce the rigidity of the top panel since so much of it was being removed. The cuts went quickly and smoothly. Here is the top panel with the appropriate cutout completed. Now for the side panels. 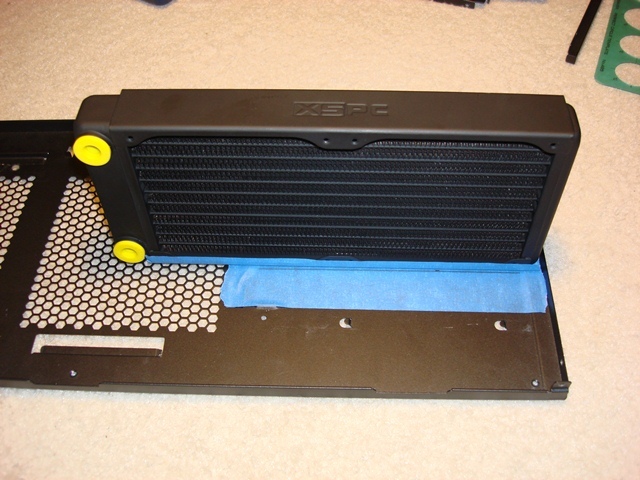 I decided to cut a pass-through ventilation hole for the bottom radiator assembly to allow for more efficient airflow. 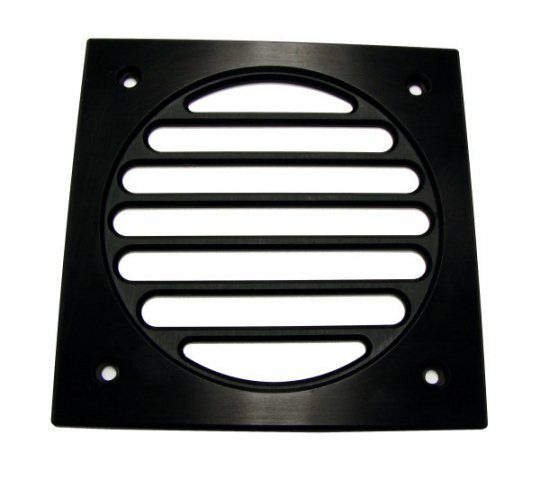 I purchased two of the MNPC Tech Pro-Line 1x120mm '360 Degree Rotating' Slotted Radgrills to match the top 4x120mm version. I wanted to coordinate the 3 radiator grills to bring a more cohesive design to the build. 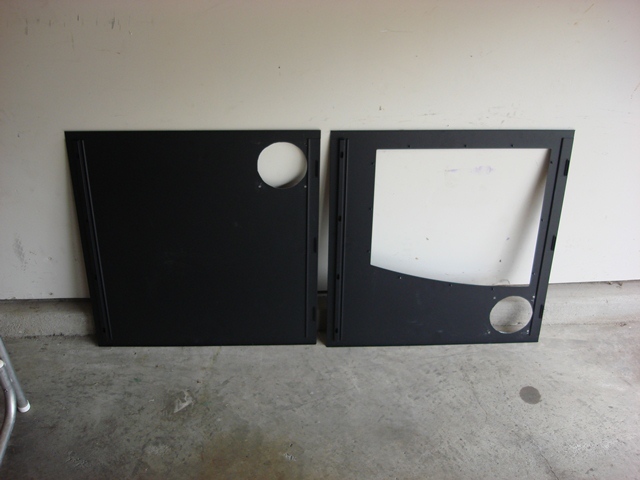 I took careful measurements of both the case and panels to ensure that the grills would be identical in position on both panels, and would not interfere with the proper functioning of the side panels themselves. 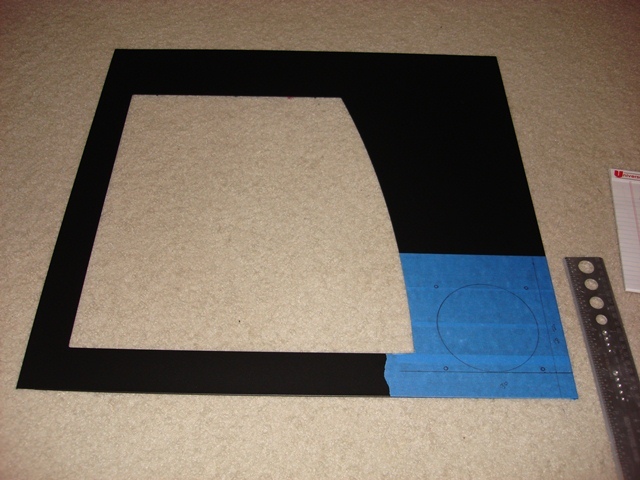 Here is the windowed panel with the grill position marked prior to cutting. 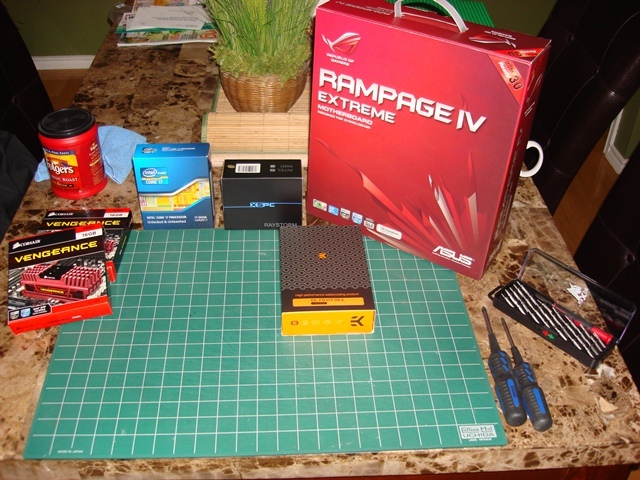 In the photo you can see my new MNPC Tech modder's ruler and gauge! This tool is a breeze to work with and is worth every penny. 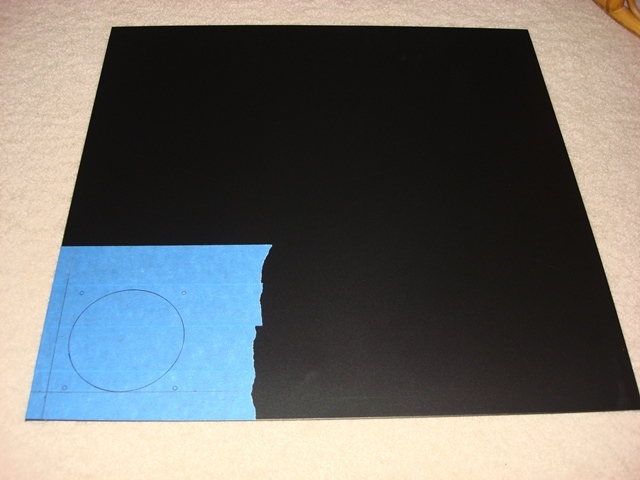 Now the other side panel is marked with the same measurements to ensure proper positioning. In my first 800D build, I mounted the bottom radiator flat on the bottom. In this build I thought it would be more interesting to mount the radiator on edge. This would allow for better airflow circulation since I will be utilizing side panel ventilation cutouts. 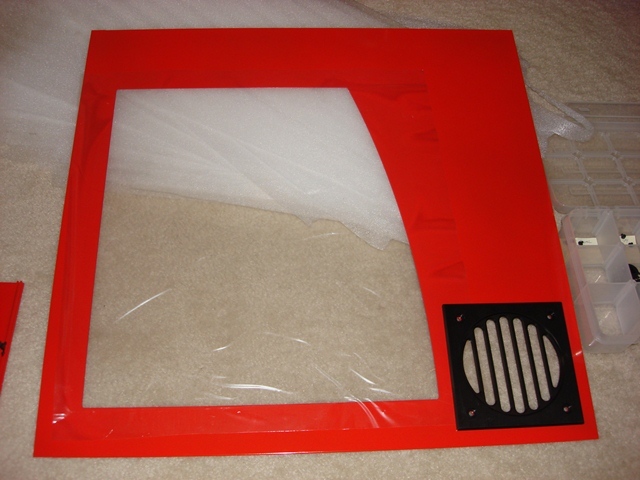 It also alleviates the need for cutting new ventilation areas in the bottom panel. The first step was to see about where to position the radiator. In order to keep the radiator from moving around once installed, I decided to physically secure it down to the bottom case panel with 4 bolts. 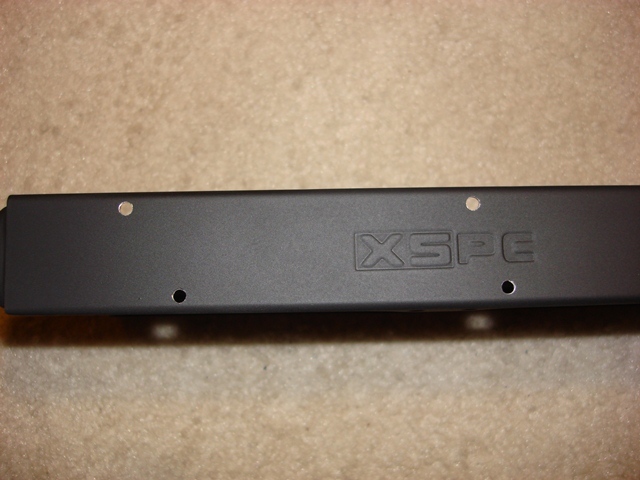 This is an easy solution since the XSPC EX240 radiator uses a slim design. There is plenty of room between the radiator outer edges and fins for the bolt nuts to fit without physically coming into contact with the delicate fins. 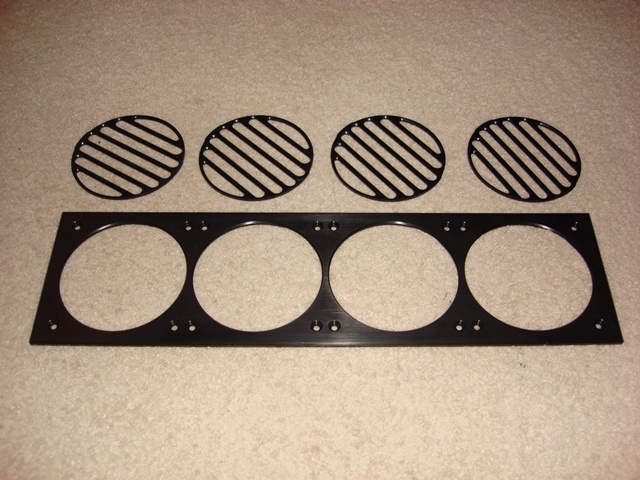 Here is a photo of the radiator bottom with the four bolt holes drilled. In this shot you can see the spacing between the radiator outer edges and fins. No problem putting a nut and bolt in there. This method also makes it very easy to remove the radiator at a future time for cleaning. All of the cuts have been completed and it is now time for the panels to be sent to the powder coating shop. 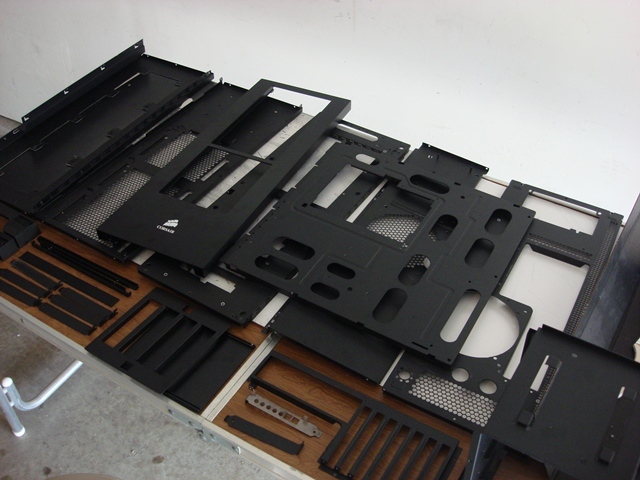 Here is a shot of the various steel and aluminum panels that make up the Corsair Obsidian 800D case. The silver bracket in the lower middle of the photo is from the X-Fi Titanium card. I did not like the silver color and it will be powder coated black. If you look closely on the right hand side, you can see that I cut out the mesh fan area of the back panel rear fan assembly. I opted for a clean unobstructed fan opening. Here is a shot of the side panels with their new ventilation holes cut out and side window removed. 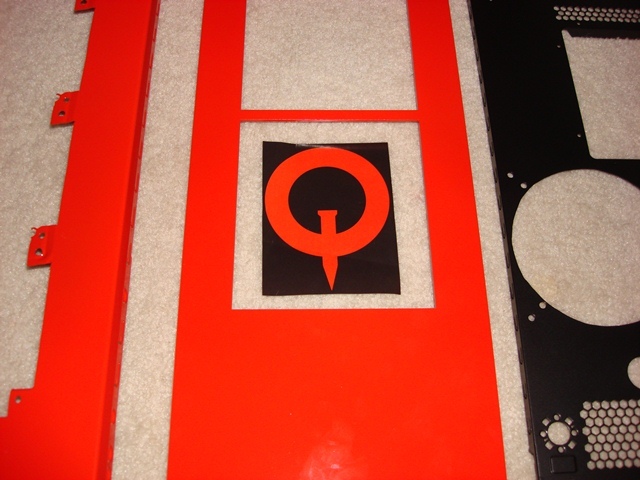 I took a color printout of the QuakeCon logo to the powder coating shop and we matched it to the 'Vermilion' color (RAL 2002). This is a red/orange pigment that is bright but not overly flamboyant. All of the panels will first undergo an abrasive media blasting to remove the existing factory finish without warping the panels. 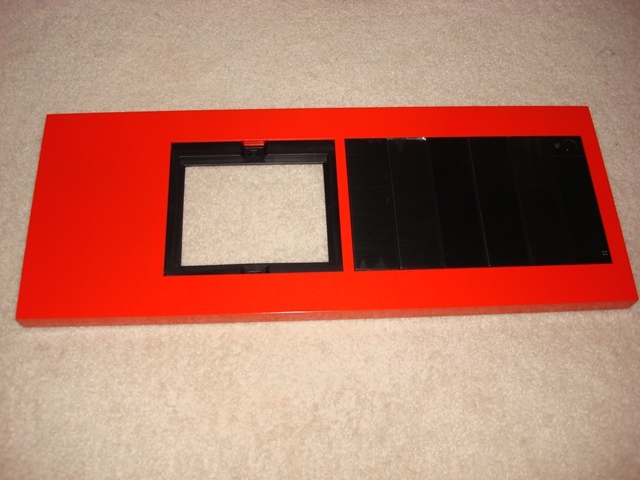 The exterior panels (top, sides, front) will be powder coated Vermilion and all the other parts will be flat black. The contrast of vermilion and black will complement each other perfectly. The items came back from the powder coating shop right on time and look amazing. Here is a shot of some of the exterior panels in the Vermilion color, along with some of the flat black interior panels. Here you can see the original logo placed next to the front panel. This is the left side panel with the window placed back in place and the MNPC Tech Pro-Line 1x120mm grill temporarily in place. The black is a perfect compliment / contrast to the vermilion color. I mounted the front panel rear structure that included the hot swap bay frame and top power switch / cover to the front panel piece and installed the 5/25" bay covers to see how the color scheme would look in the front. 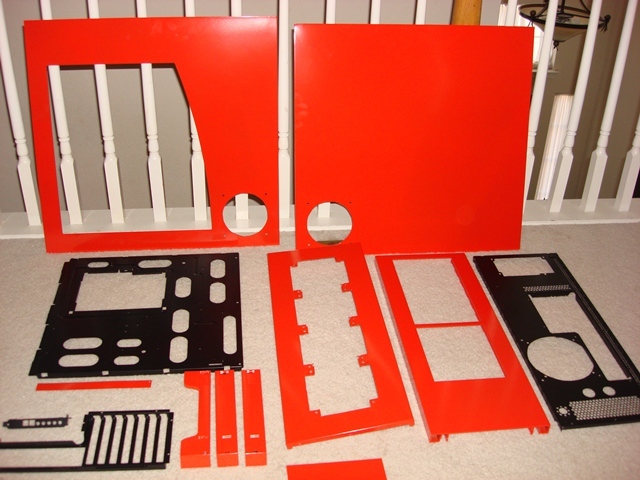 Now that the powder coating process is complete, it is time to start assembling the case. Starting from the bottom and working your way up is always the best practice. 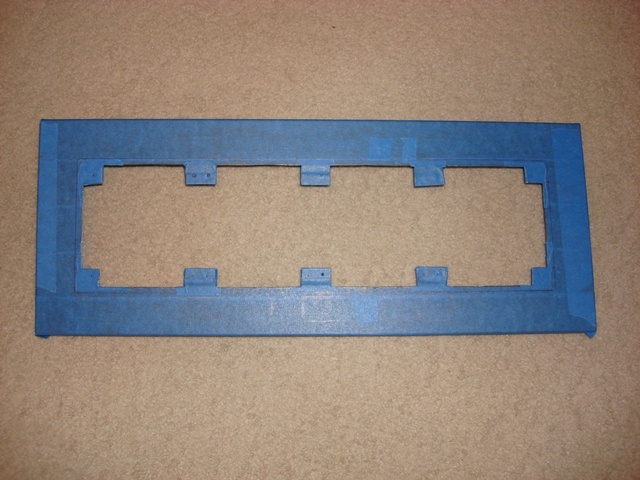 The first step is to assemble the feet back on the bottom panel. Attaching the metal legs were relatively easy - just screw them on. The tricky part is getting the rubber pads back in their sockets with adhesive tape so that they retain that factory finish look. 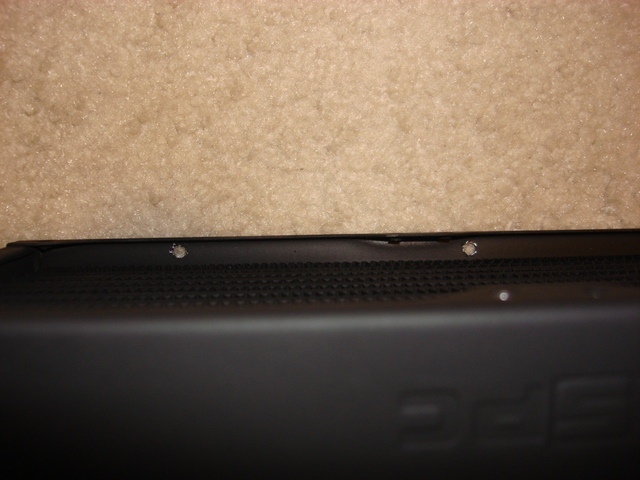 Here is a closeup of one of the rubber pads back in place. Here is the entire bottom panel with all legs/pads attached and ready. The rear panel quickly and easily attaches to the bottom panel and upward the project progresses. After about 30 minutes of slowly fitting the pieces together and riveting them in place with black rivets, the case is starting to look impressive in black and vermilion. 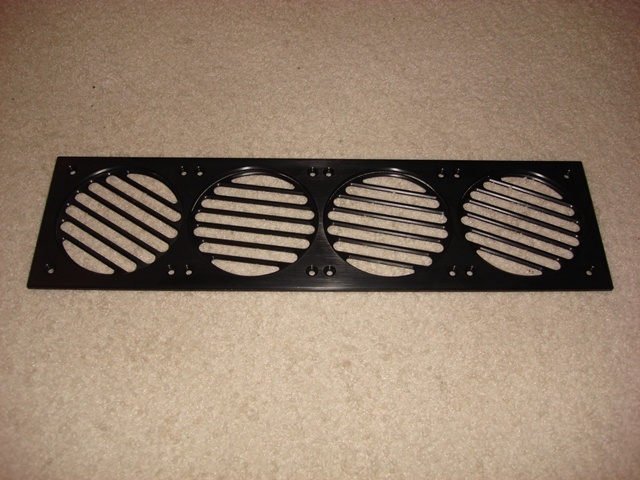 I placed the MNPC Tech 4x120mm radiator grill in place to see what the overall color scheme will look like. Here is another angle from above and in the front slightly. 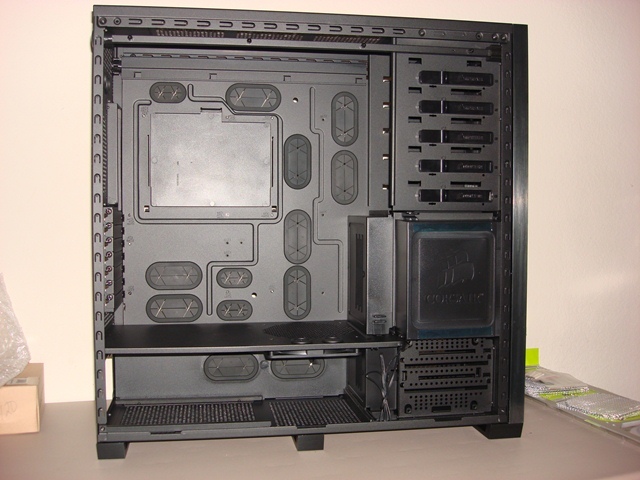 You can see that the hot swap bay cover is in place and completes the front assembly. One final shot showing the right panel with the MNPC Tech 1x120mm radiator grill mounted in place. Those black beefy grills perfectly accentuate the vermilion color. Now that the case is ready, time to turn my attention to the interior. 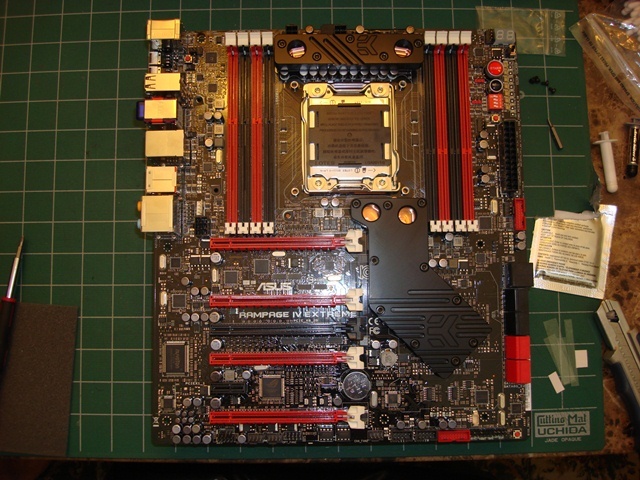 First off, putting the EK Full Board water blocks on the ASUS Rampage IV Extreme motherboard. Here are the materials ready for assembly. This is the stock motherboard freshly opened and ready to have the cooling fins removed. 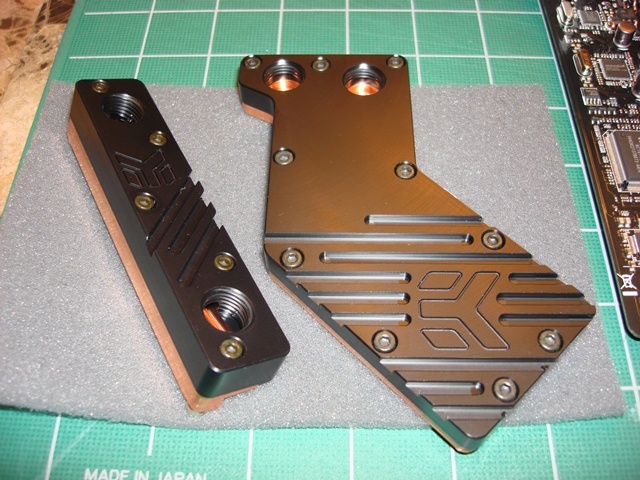 This are the EK Full Board water blocks (consisting of the southbridge and MOSFET modules). I spent about an hour removing the old air fins, cleaning the components, and installing the new blocks. 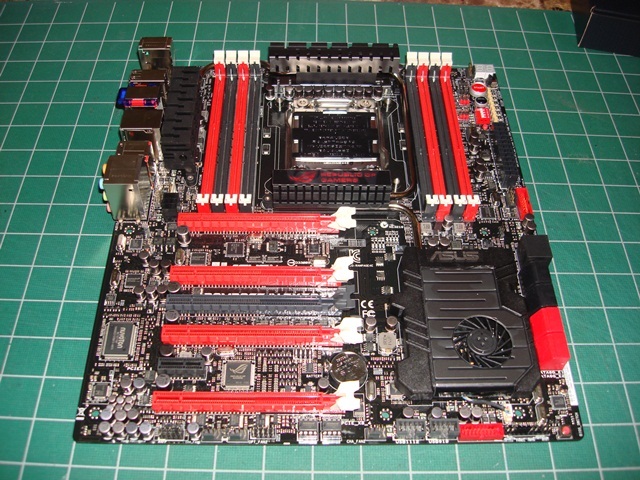 Here is the motherboard with the new blocks installed.